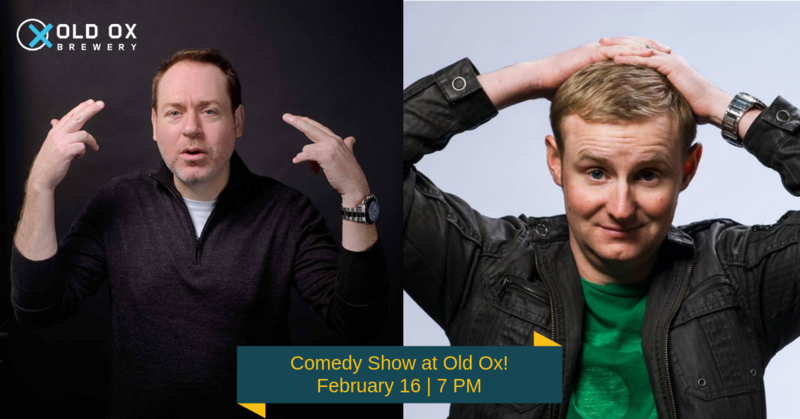 Join us February 16 for a night of lagers and laughs from 7 pm-9 pm featuring nationally acclaimed comedians: Lucas Bohn and Rob Maher. Doors open at 6:15 and seating is first come, first served. Get here early to grab a seat and a beer! Tickets are only $20. Get them before we sell out! Get your tickets here. Rob Maher starred in the Washington, D.C. episode of Kevin Hart’s Comedy Central show, Hart of the City. He is a regional winner of Comedy Central’s Up Next Competition and is a favorite performer at the DC Improv and Funny Bone comedy clubs all the over the country. Rob’s also had the fortunate opportunity to go overseas and perform for our troops. He’s performed in 17 countries including Afghanistan, Japan, Kyrgyzstan, Turkey, Italy and Egypt. In 2013 Lucas was nominated “Comedian of the Year” by Campus Activities Magazine.